At the conclusion of a week-long countdown, Gearbox Software confirmed that the king is back. 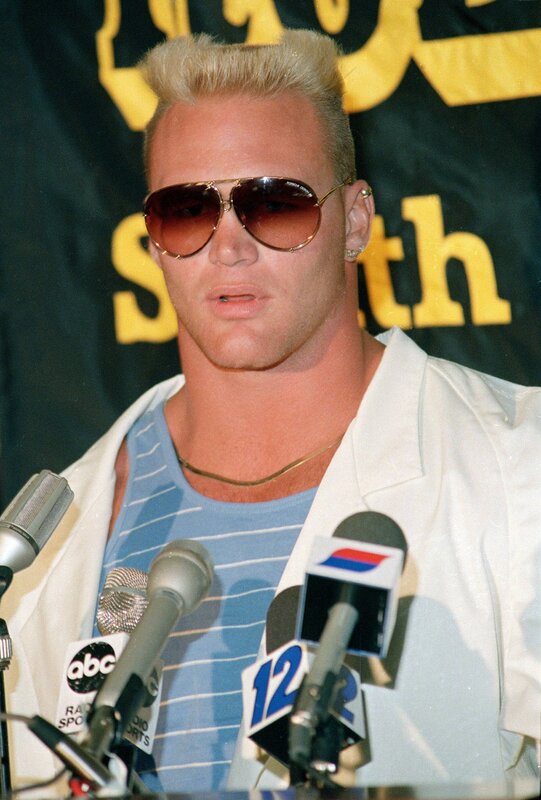 I’m of course referring to Duke Nukem, the embattled video game hero that bears an uncanny resemblance to ‘80s college football sensation Brian “The Boz” Bosworth. The developer, who became the full and rightful owner of the Duke Nukem franchise last summer, is now accepting pre-orders for Duke Nukem 3D: 20th Anniversary World Tour, a remastered version of the 1996 classic Duke Nukem 3D that was recently unveiled during Gearbox’s PAX West panel in Seattle. The game will include a full remaster of the original using Gearbox’s “True3D Rendering” mode with the ability to toggle between new and original graphics on-the-fly. Best yet, Gearbox has brought together several of the brilliant minds behind the original game to create additional content for the remake. The game’s first teaser trailer is embedded above. Duke Nukem 3D: 20th Anniversary World Tour hits PlayStation 4, Xbox One and PC (via Steam) on October 11 priced at $19.99.